After the breaking news that BCD M&E has taken over Zibrant, Nigel Cooper spoke to C&IT. Here are five things we know about the deal so far. BCD Meetings & Events has taken over events agency Zibrant, a deal that will include all 130 of the agency's staff. 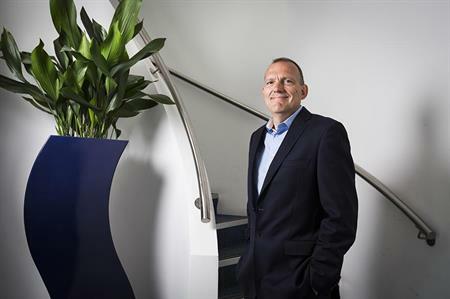 Cooper will operate under the new role of managing director of BCD UK M&E and Zibrant. In his new position, Cooper will lead the business with the aim of delivering against the objectives the agency has set, whilst intergrating the teams across both companies. "The Zibrant name will continue, as will the BCD name," Cooper told C&IT. "BCD will deliver services to Zibrant clients, and Zibrant clients will deliver services to BCD M&E clients. "Everyone at Zibrant comes to work on Monday morning and does the same job in same office under the same title. But, everything has changed in that we now have a global network of 47 offices that we didn't have before, which allows opportunites to grow and develop. "It was a challenge for us to compete on a global tender processes. We now have access to a global network of 1,200 staff in meetings and events and 12,000 staff in travel. This is Zibrant joining the Premier League overnight." Not only did Cooper reassure Zibrant employees that it would be business as usual, he emphasised that the acquisition has created numerous vacancies and recruitment is top of the agenda for the agency. "Everyone at Zibrant is still fully employed and we have vacancies we are looking to fill - the agency is growing. Not only is there opportunity for more jobs in both agencies, but there is also progression and development and exciting opportunities to take people’s careers forward." BCD M&E’s first contact with Zibrant was back in December 2015, which Cooper admitted came completely out the blue. "After that we engaged in conversation about both organisations, the types of business we are, the cultures, and what we wanted to achieve. The more we spoke the more compelling arguments there were to put the two businesses together. We are stronger together than we are individually." The combined UK event-based turnover of the two agencies would make BCD M&E a top-five agency in C&IT’s annual ranking. Zibrant currently sits in 8th, with a UK event-based turnover of £17.6m, while BCD Meetings & Events sits eight positions below in 16th, with a UK event-based turnover of £15.2m. In September 2014 Cooper bought Zibrant for £2.9m as former parent company Motivcom was taken over by Sodexo for £41m. At the end of last year, Zibrant managing director Fay Sharpe took a 10% stake in the business.